As stellar as “Worldwide Choppers” was, the addition of a Busta Rhymes verse took things up a few notches – it is often his verse that trips up fans trying to do covers. 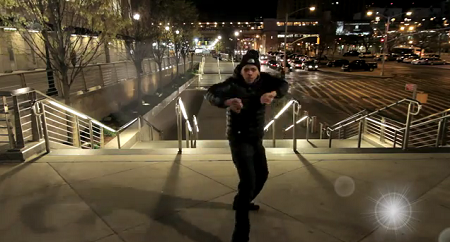 Enter ‘Gil’ doing an impressive pop-lock routine of Busta’s verse of ‘WWC’ shot beautifully in some city…your city? Let’s see the whole product man! Can you spit Busta’s verse of WWC perfectly?